European/UK Tour Supporting Ms. Lauryn Hill Begins November 17th. Shabazz Palaces and returning directorial team TEAN (“Motion Sickness”) have delivered the conjoined new visuals for “Moon Whip Quäz (feat. Darrius)” from Quazarz: Born on a Gangster Star and “Julian’s Dream (ode to a bad)” from Quazarz vs. The Jealous Machines. In the “Moon Whip Quaz” video, slumber party magic summons forth the otherworldly figure known as Quäz; and in the “ode to badass females” visual for “Julian’s Dream (ode to a bad),” the mythical Quäz joins forces with lead protagonist Dr. Julian in her quest to liberate the controversial bodyswap tech she invented. Watch “Moon Whip Quäz (feat. Darrius)” over here. Then watch “Julian’s Dream (ode to a bad)” over here. 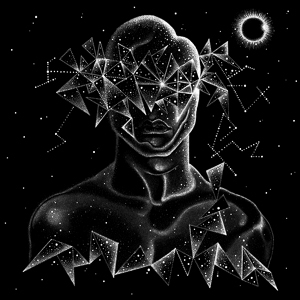 Then in early 2019, Shabazz Palaces’ EU/UK headlining tour has expanded and now begins February 1st in Toulouse at Le Metronum and ends February 8th in Dublin at The Sugar Club. Quazarz Born on a Gangster Star and Quazarz vs. 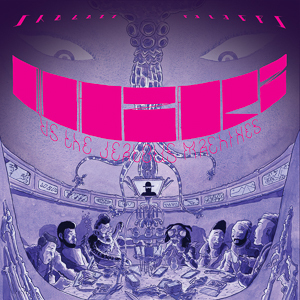 The Jealous Machines, the group’s third and fourth albums released in 2017, are available now on CD / LP / DL / CS / Illustrated album worldwide through Sub Pop.